In most cases, those who make the false allegations do not realize the full impact that their claims can have. The long lasting, negative ramifications for the accused can continue even when acquitted. Once the allegations are made, guilt is almost always automatically presumed by society and the accused becomes branded. This can lead to public disgrace, harassment, and mistrust. The allegations are very serious and the word of a minor can have devastating effects. In most cases there is no physical evidence of abuse and charges are easily believed, even with little or no evidence. The allegations are easy to make. The accused must provide evidence that they are innocent, even though the legal system is not designed that way. Maintaining the presumption of innocence in the United States is at the fundamental core of the justice system. The burden of proof rests on the prosecution and they must, beyond a reasonable doubt, prove that the accused is guilty. But when it comes to accusations of sexual abuse, it seems that the accused must prove that they are not guilty. Most cases rest on hearsay evidence, with little to no physical evidence. At the Law Office of Dayna L. Jones we believe a person is presumed innocent until the state’s proves they are guilty beyond a reasonable doubt. It is the role of the criminal defense attorney to prevent that from happening. If you have been accused of sexual abuse, the best course of action is to seek legal presentation immediately. 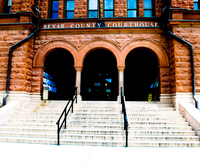 Contact us at (210) 255-8525 to schedule an appointment with the attorney. Calls are answered 24 hours a day, 7 days per week.